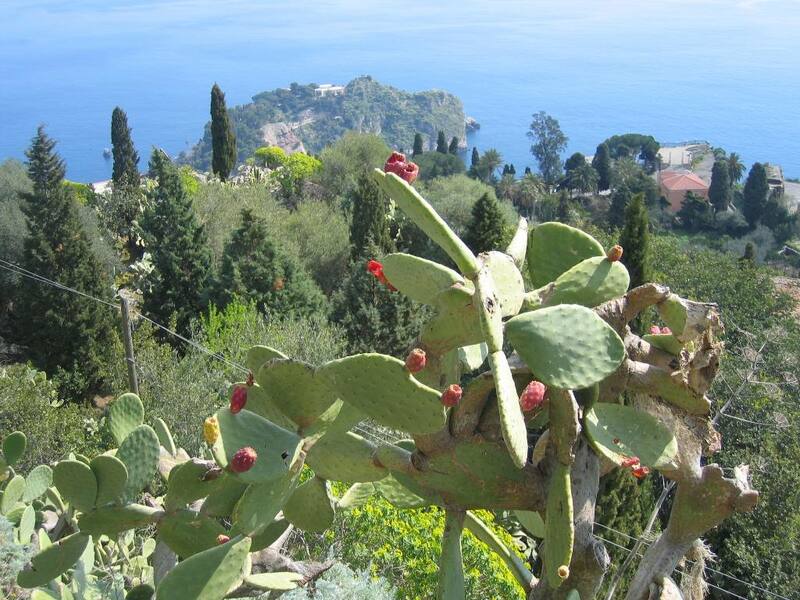 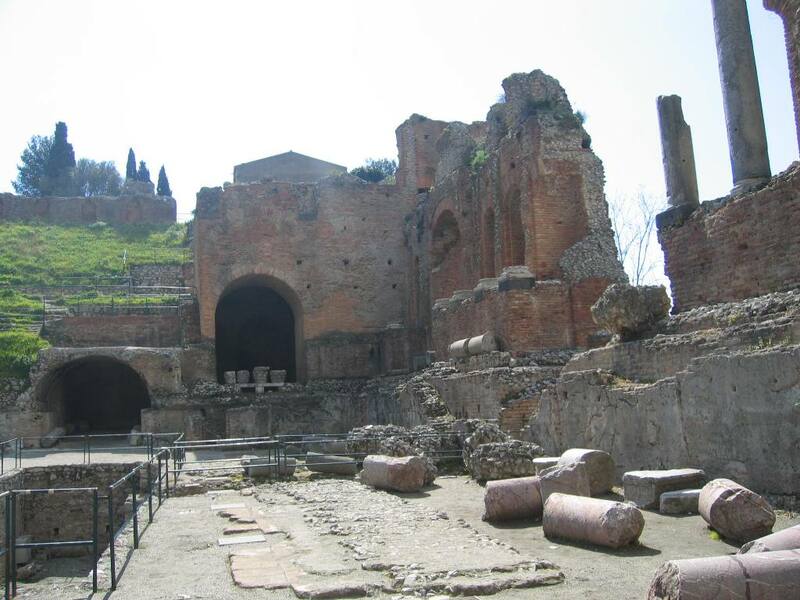 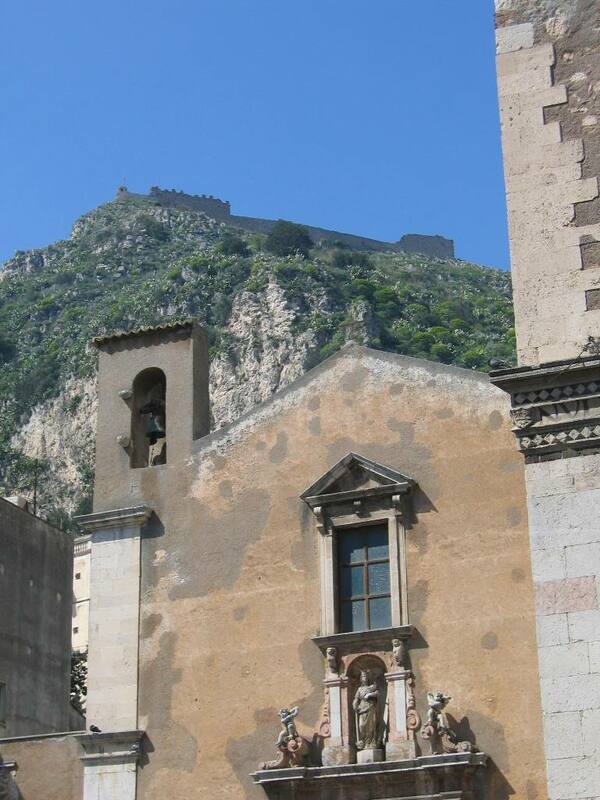 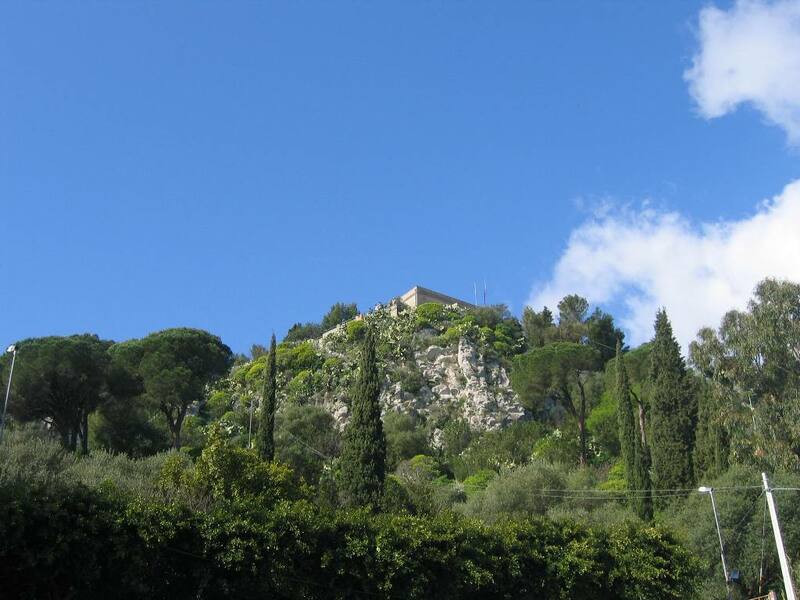 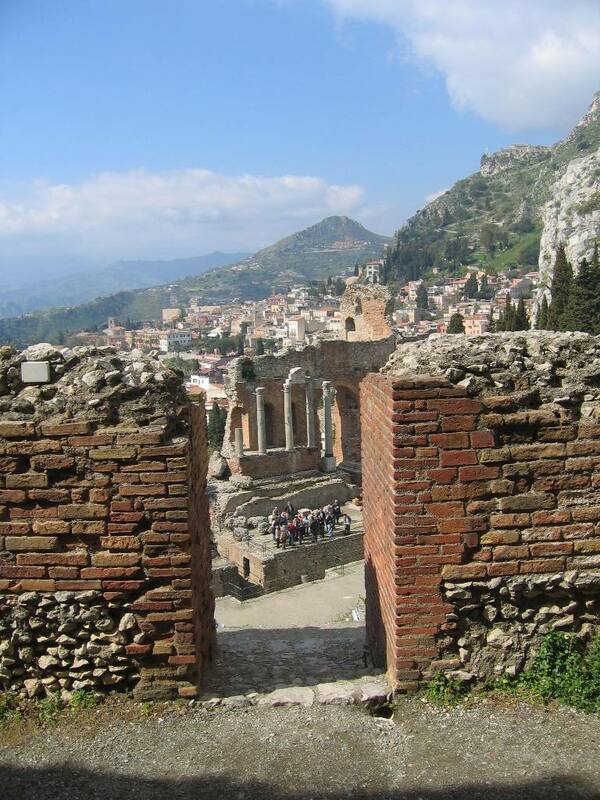 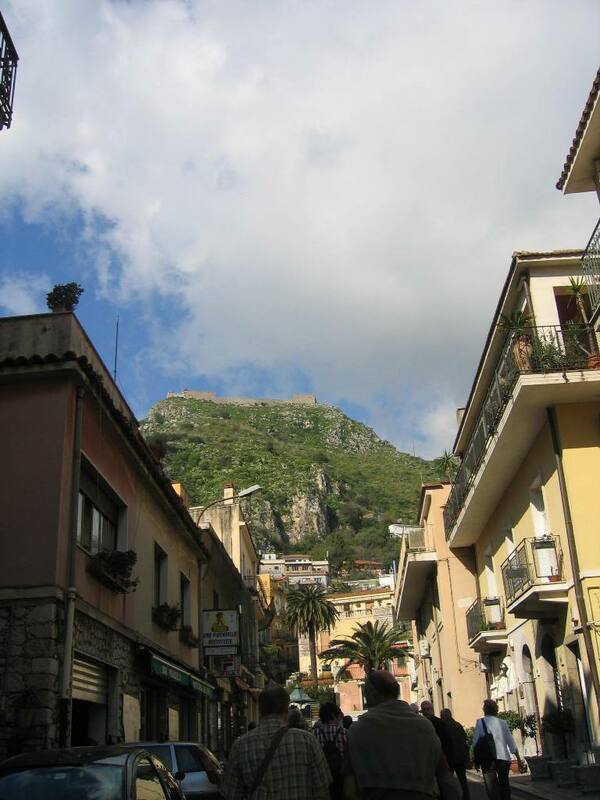 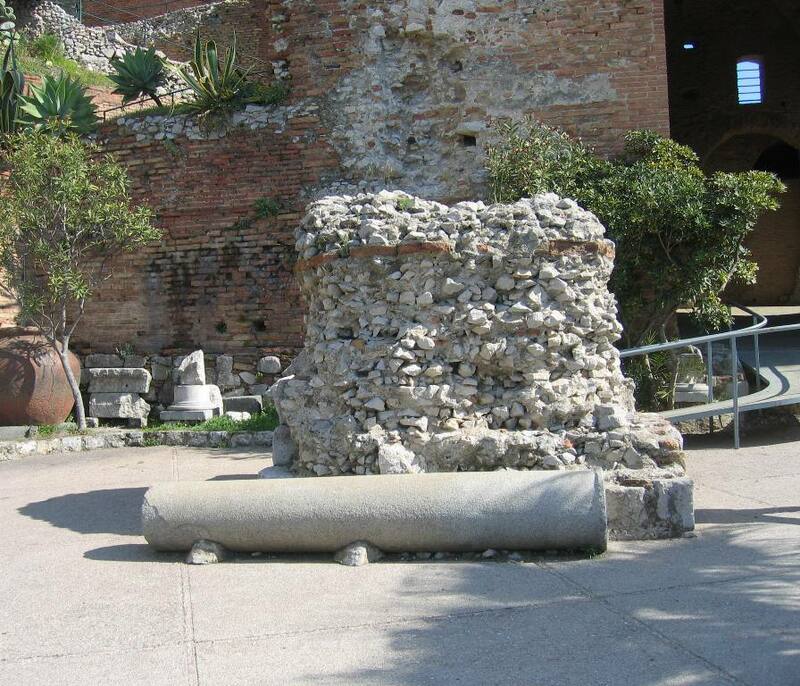 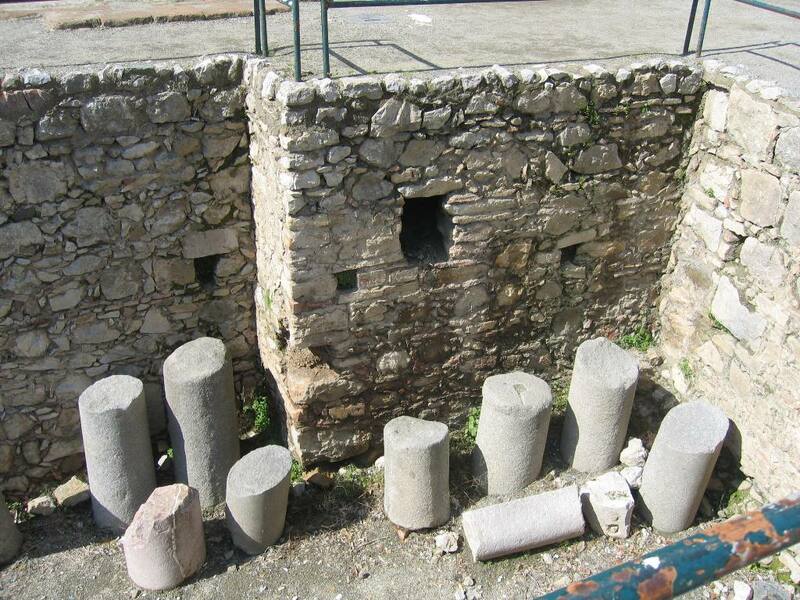 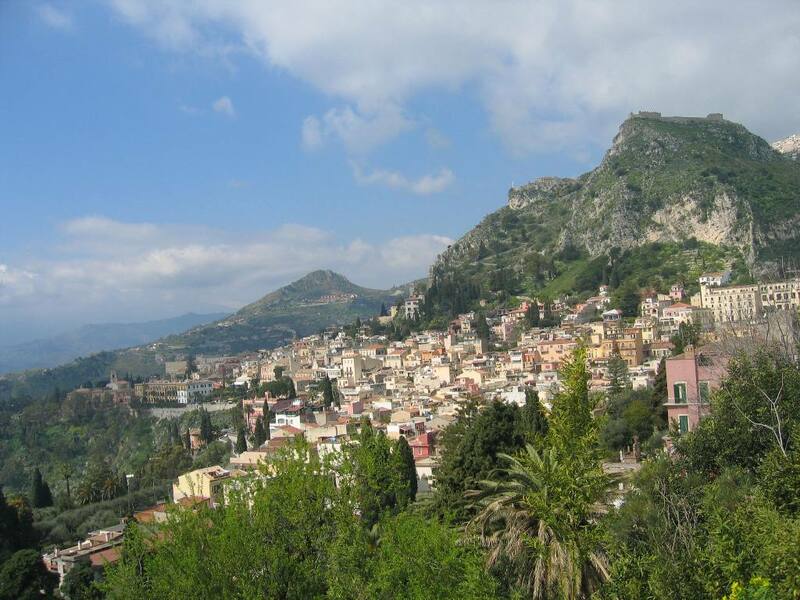 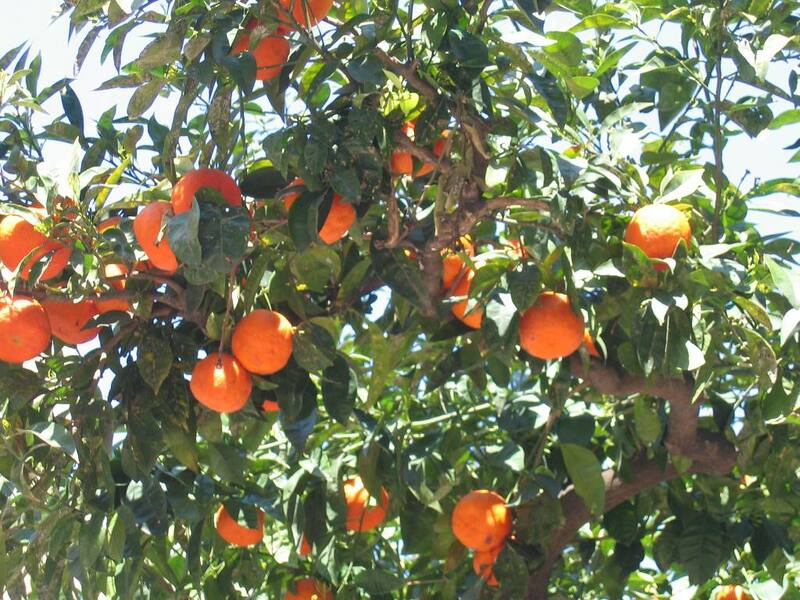 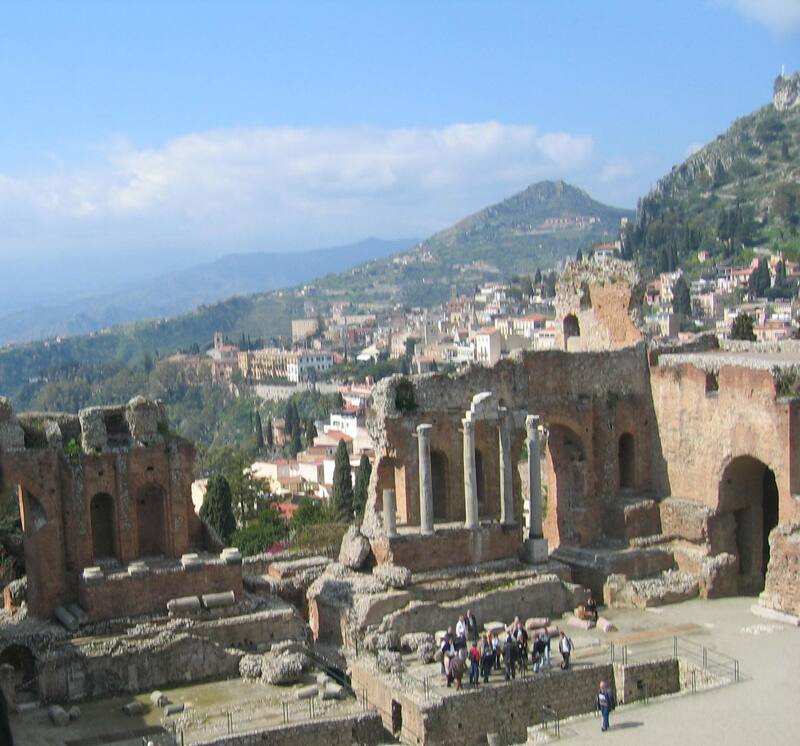 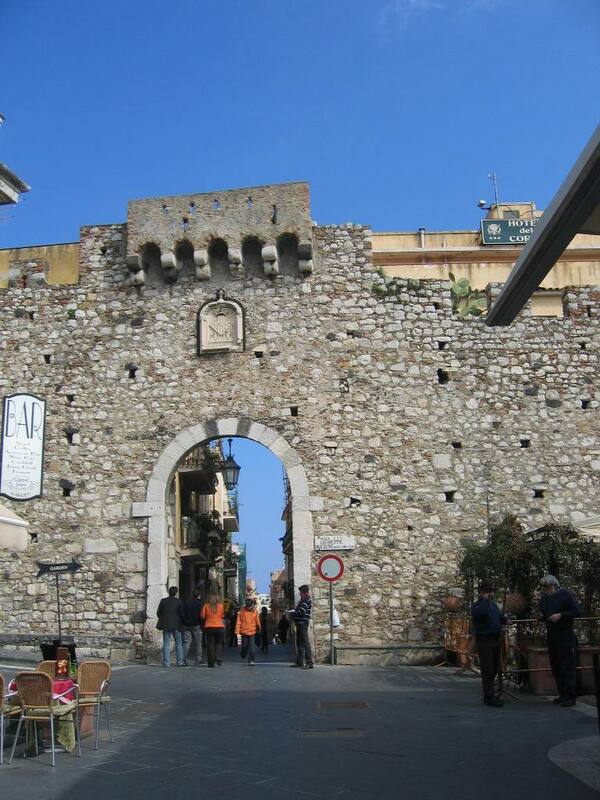 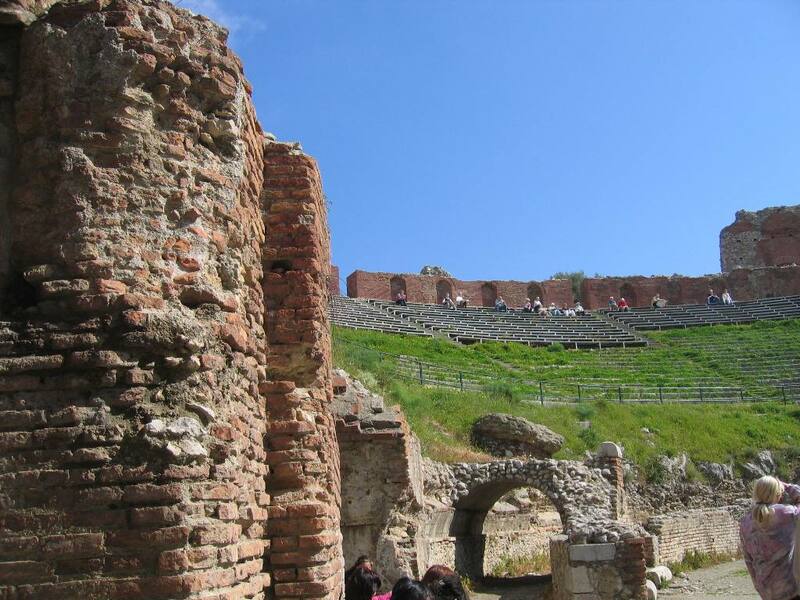 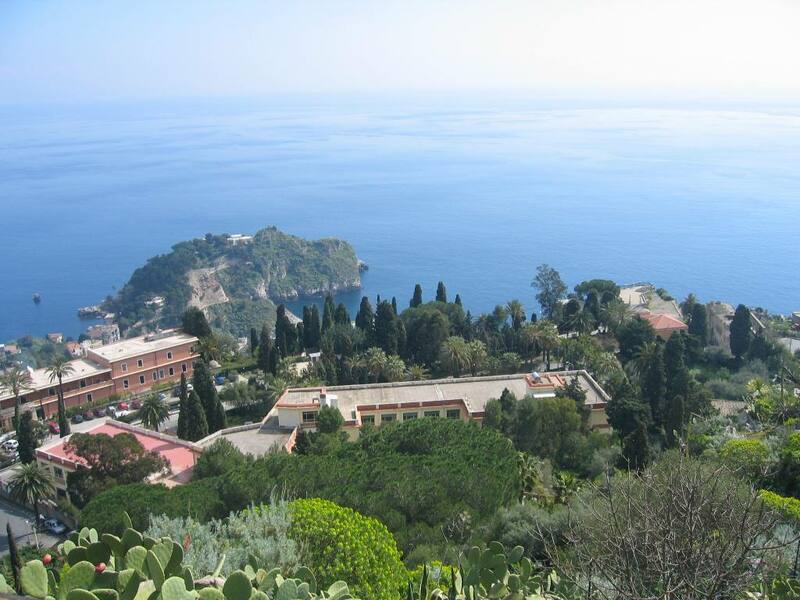 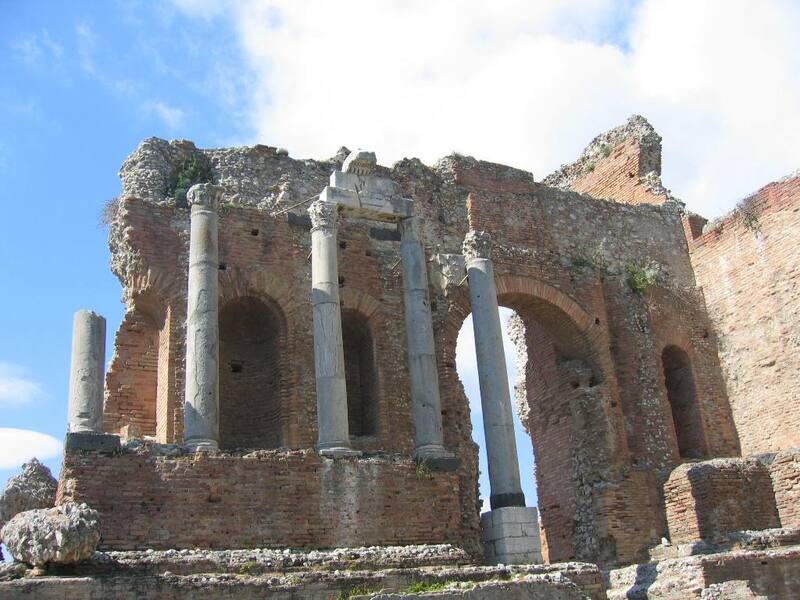 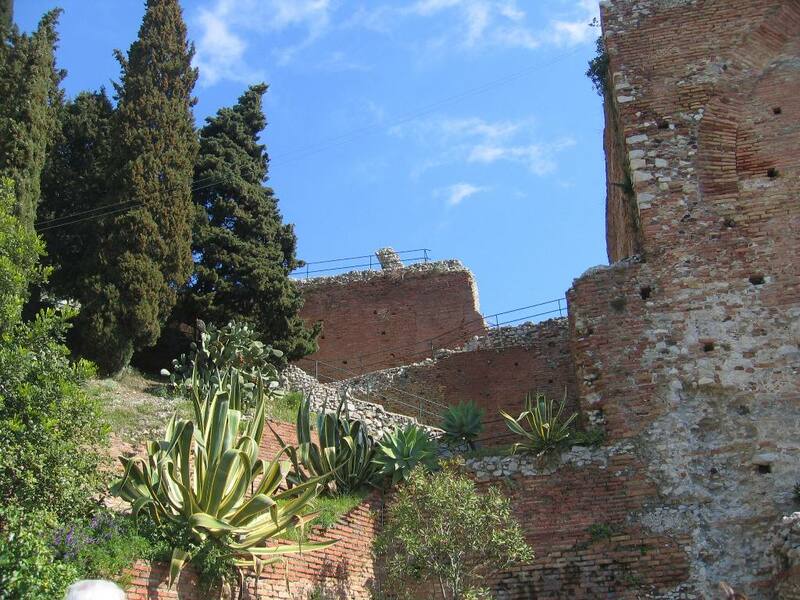 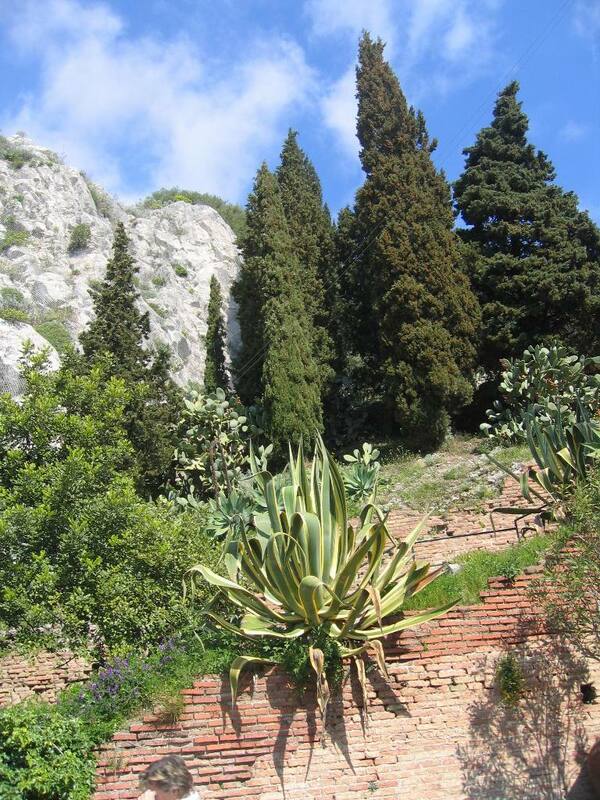 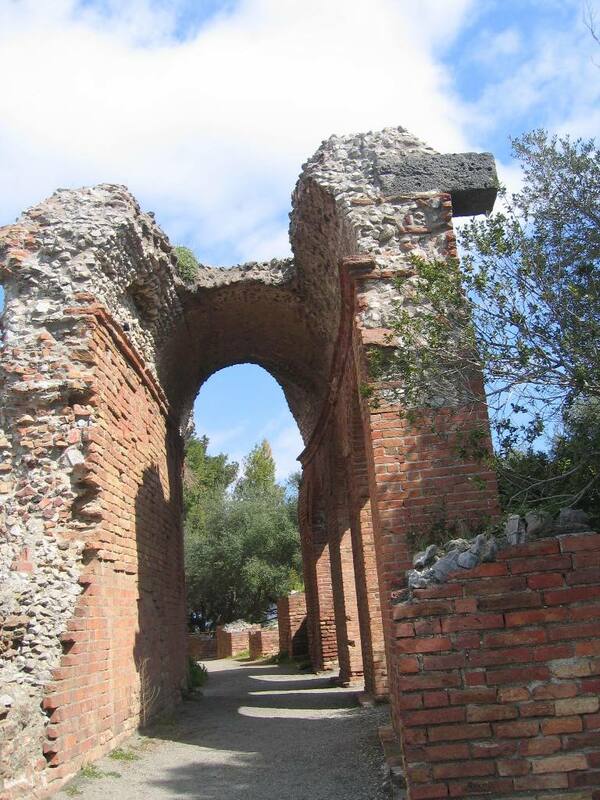 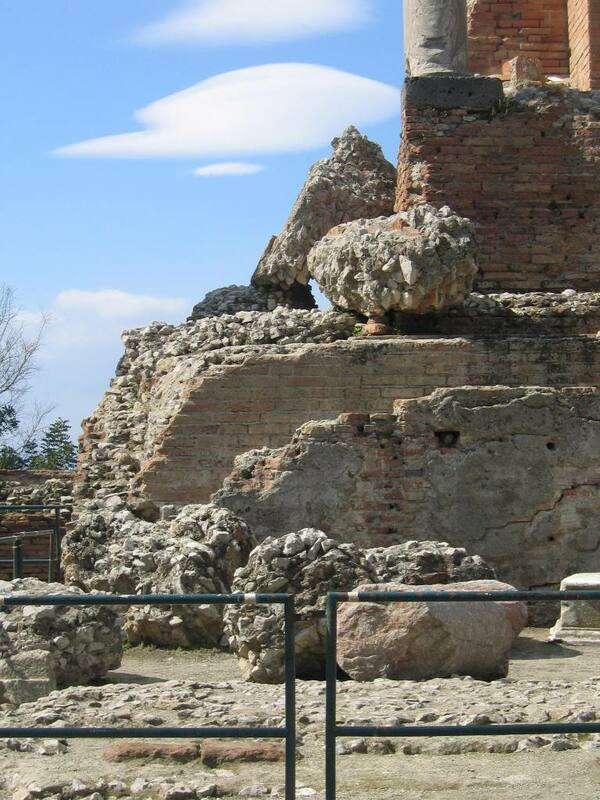 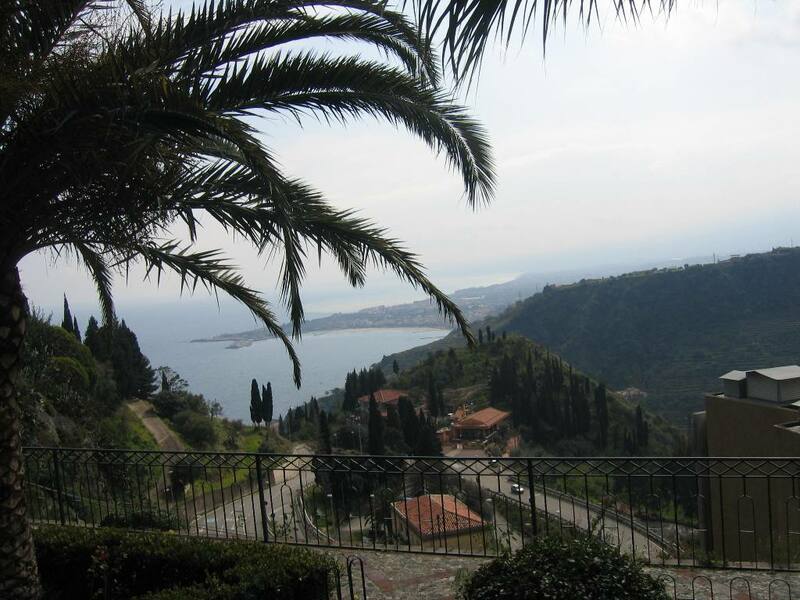 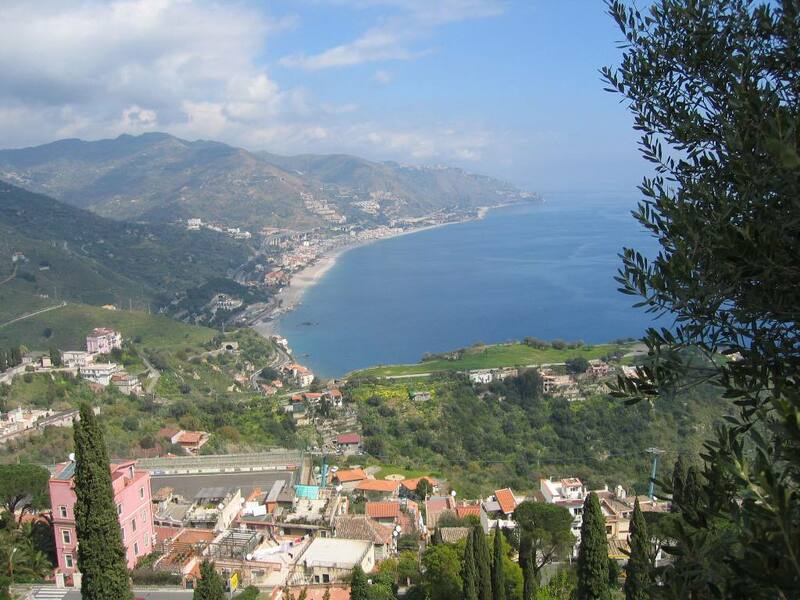 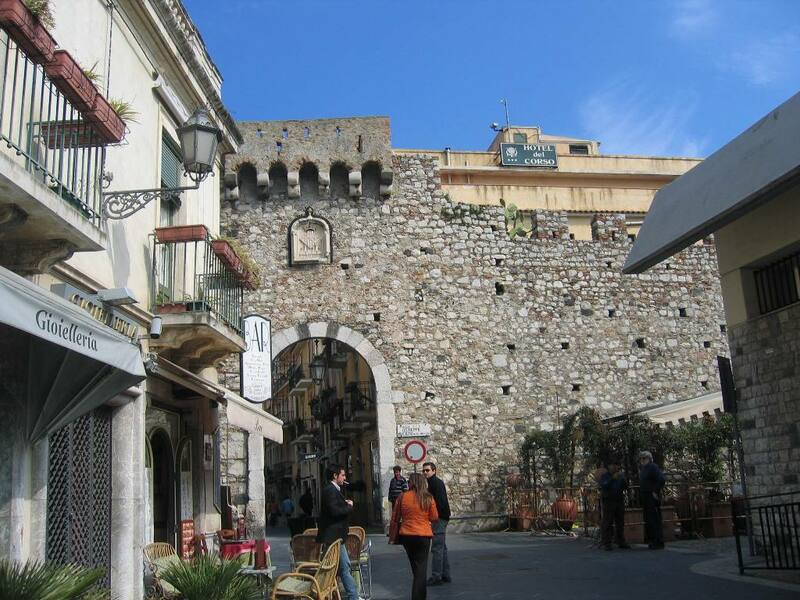 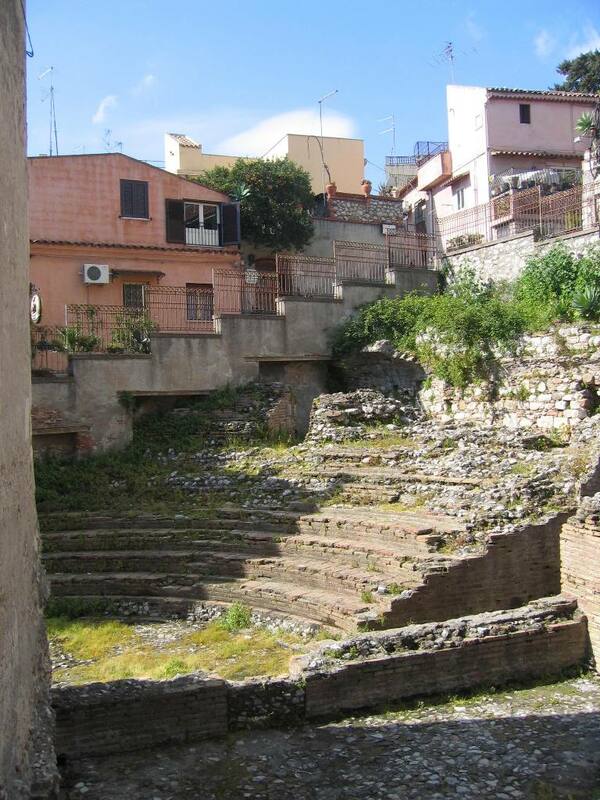 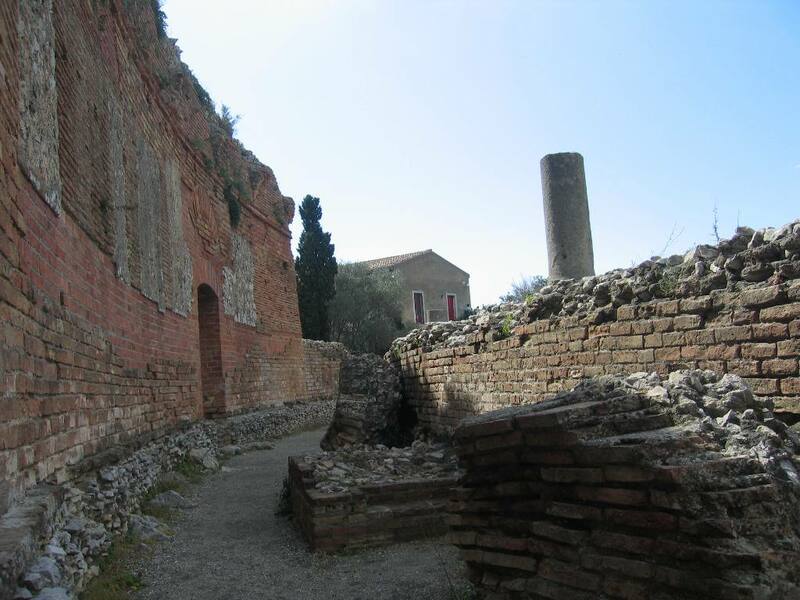 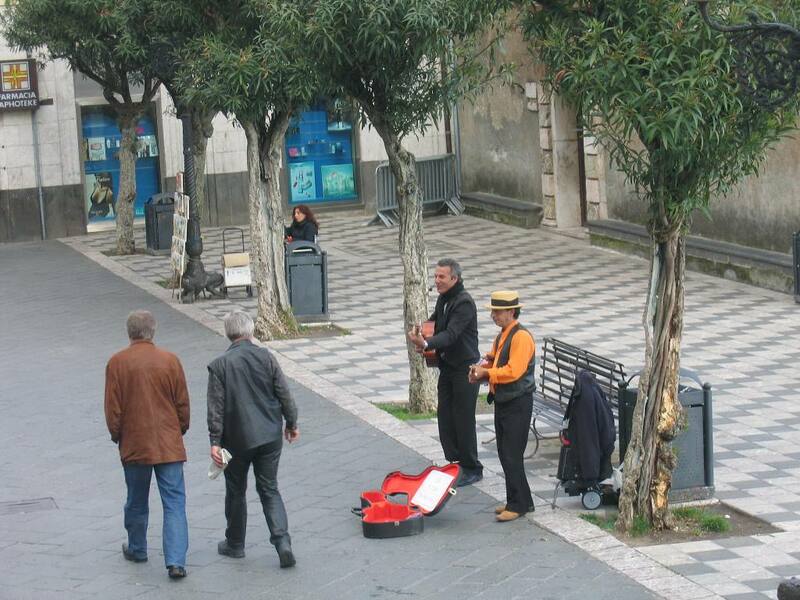 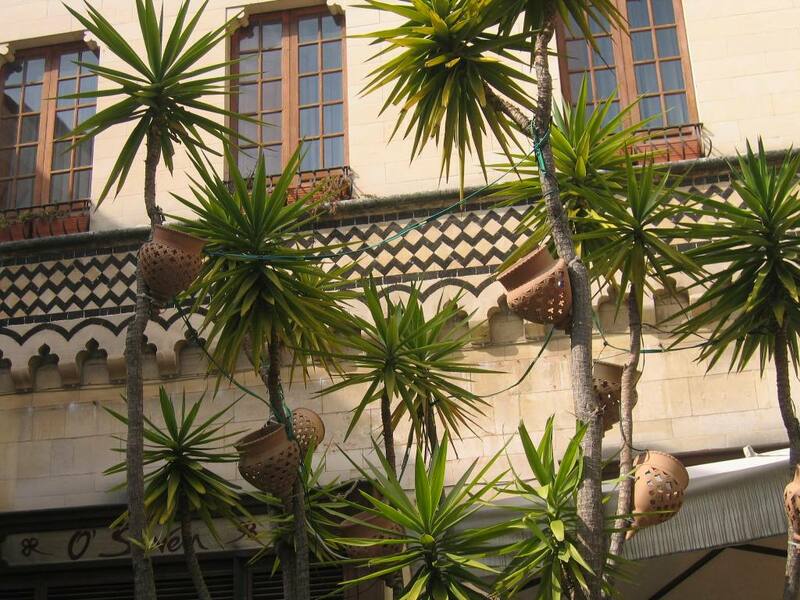 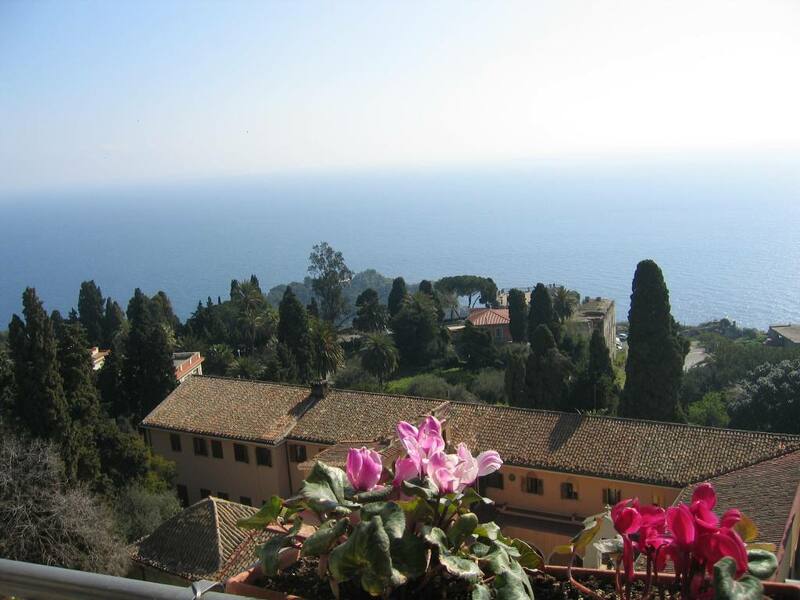 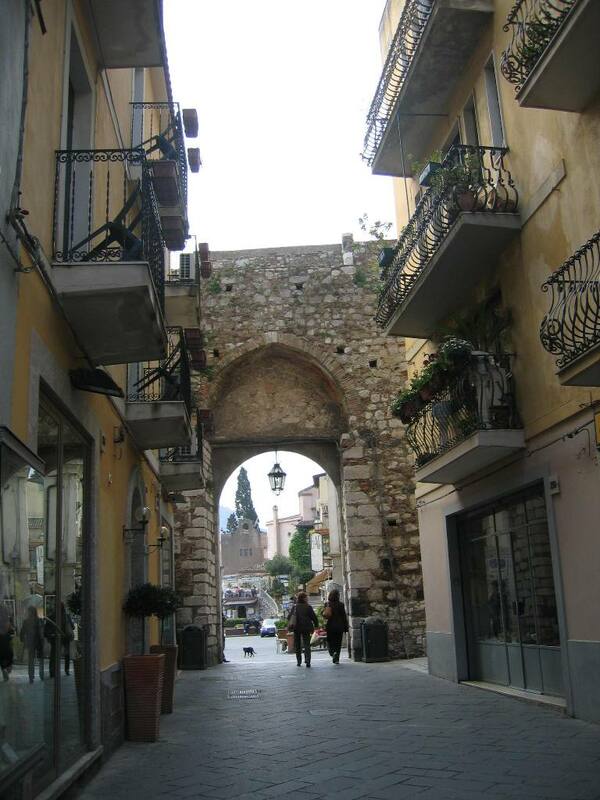 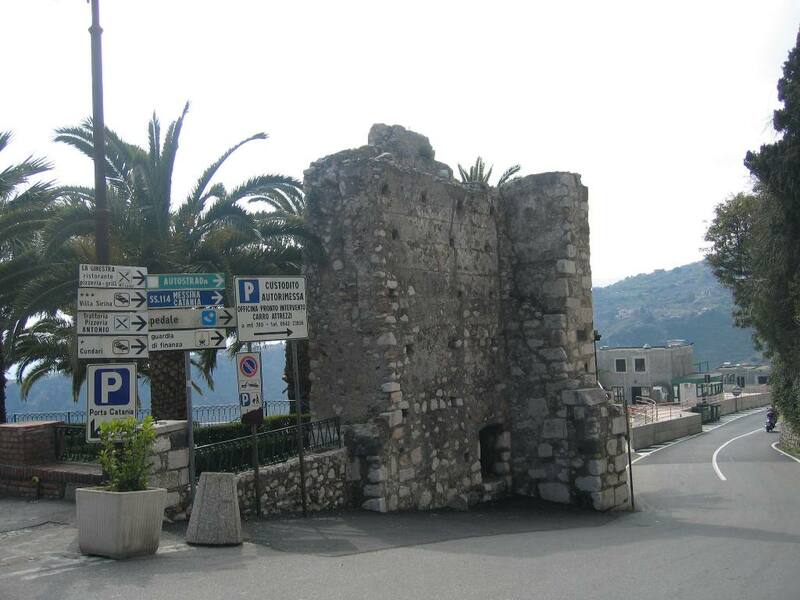 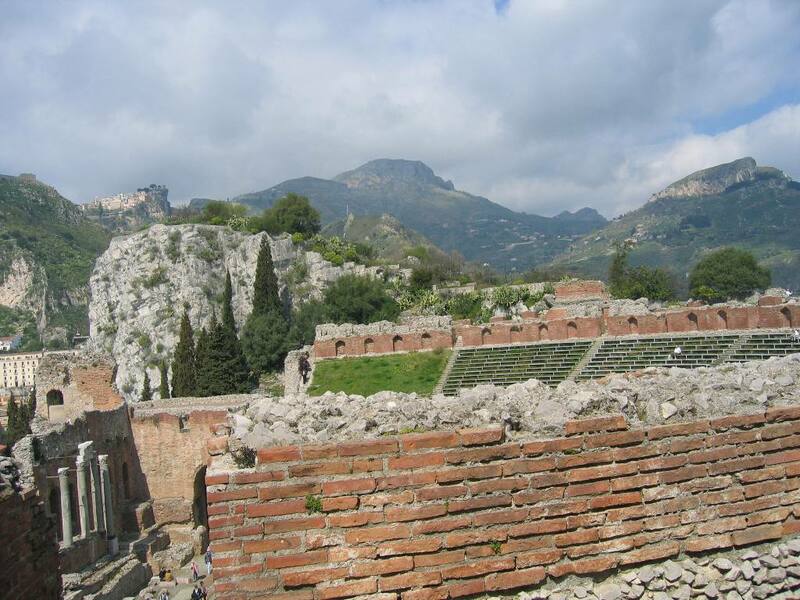 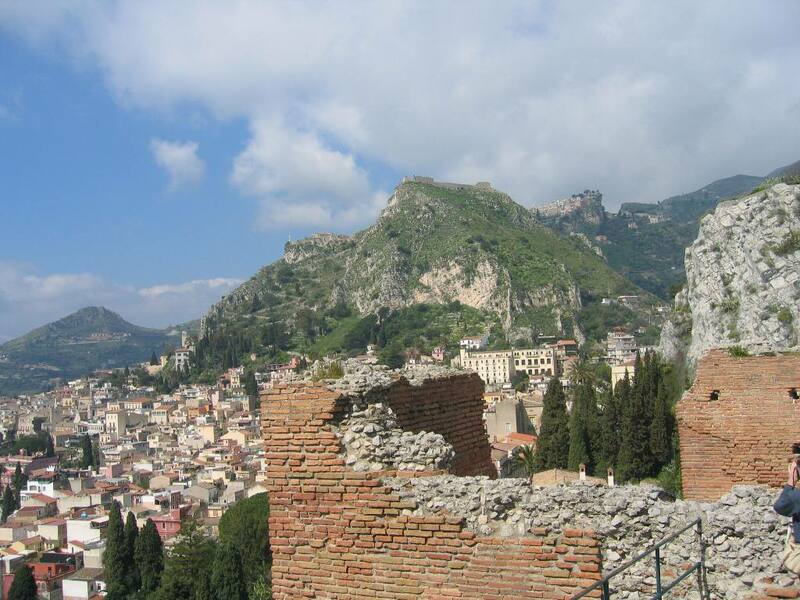 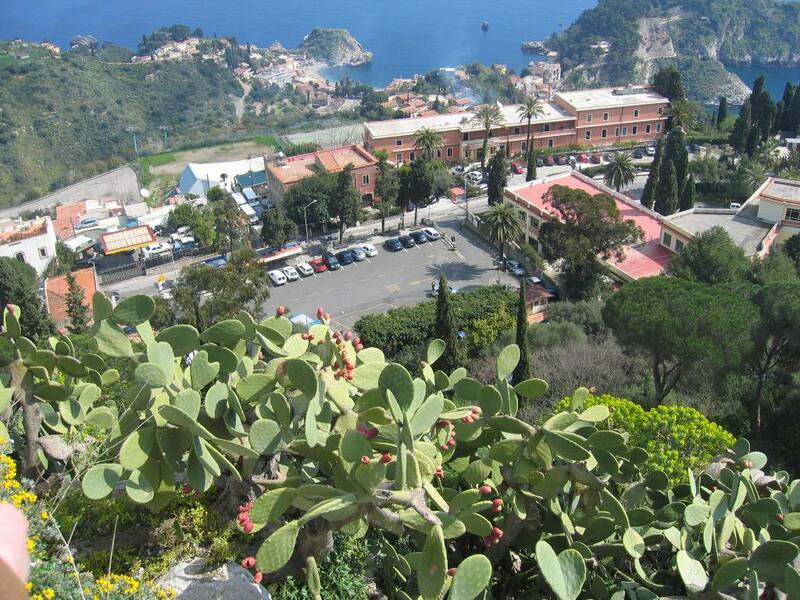 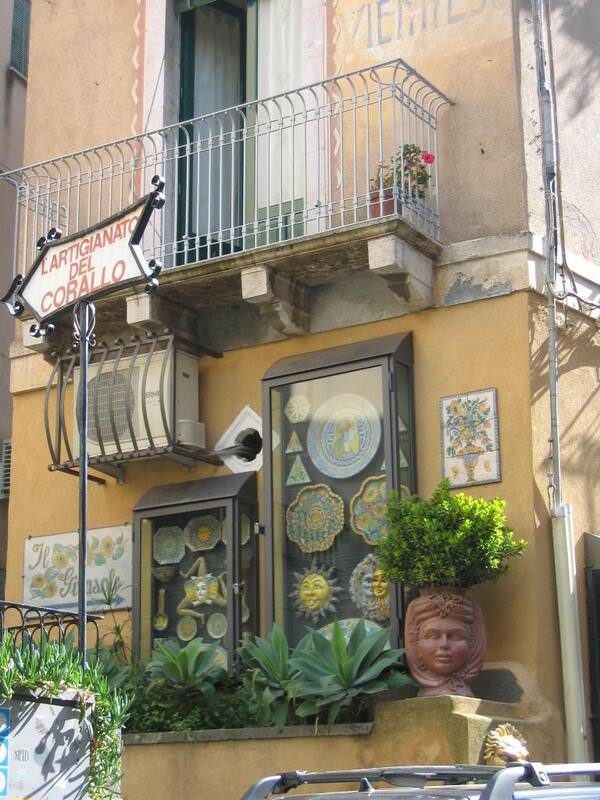 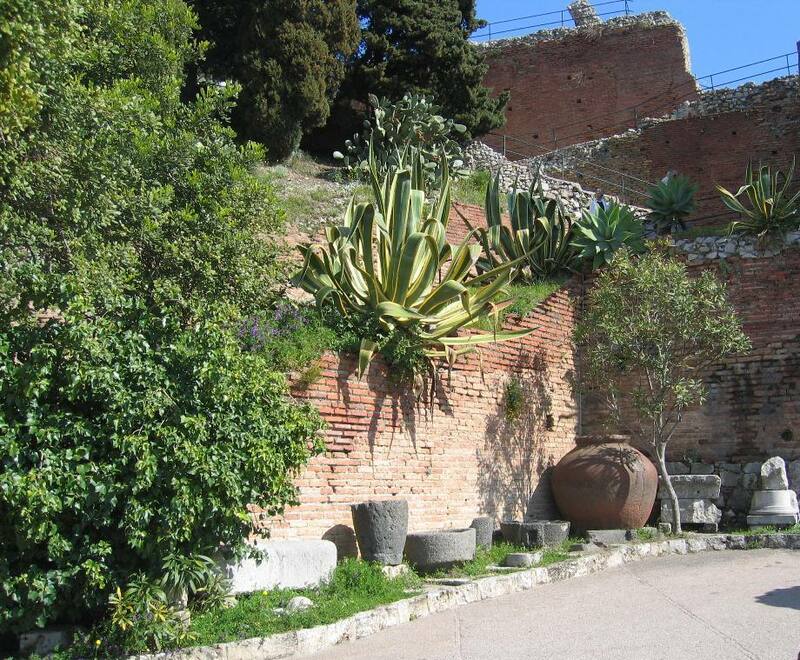 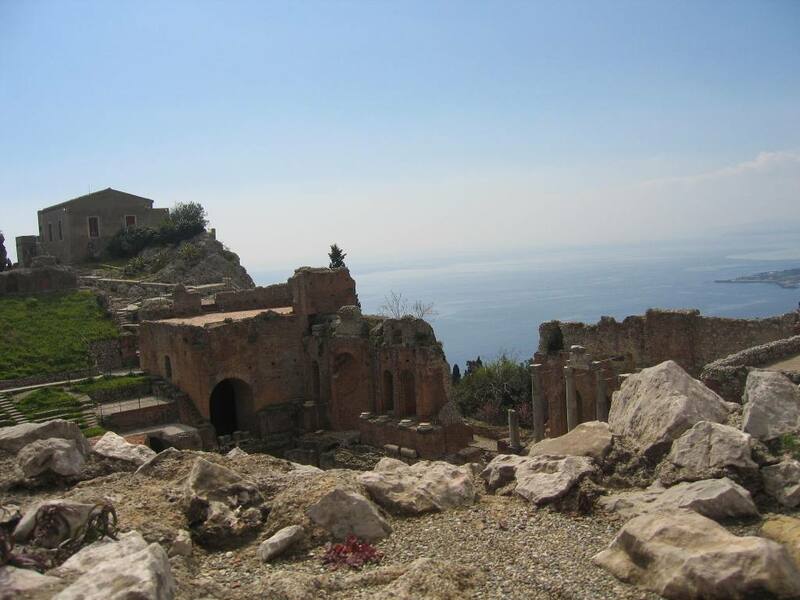 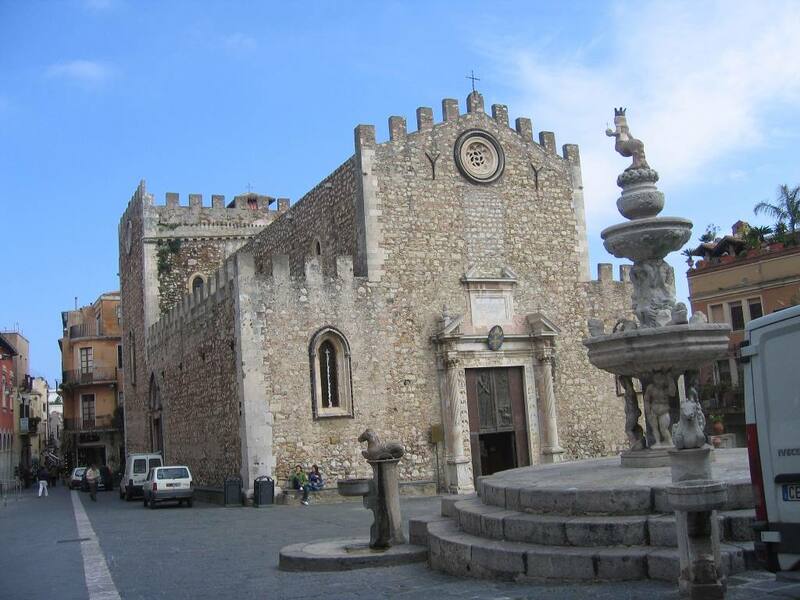 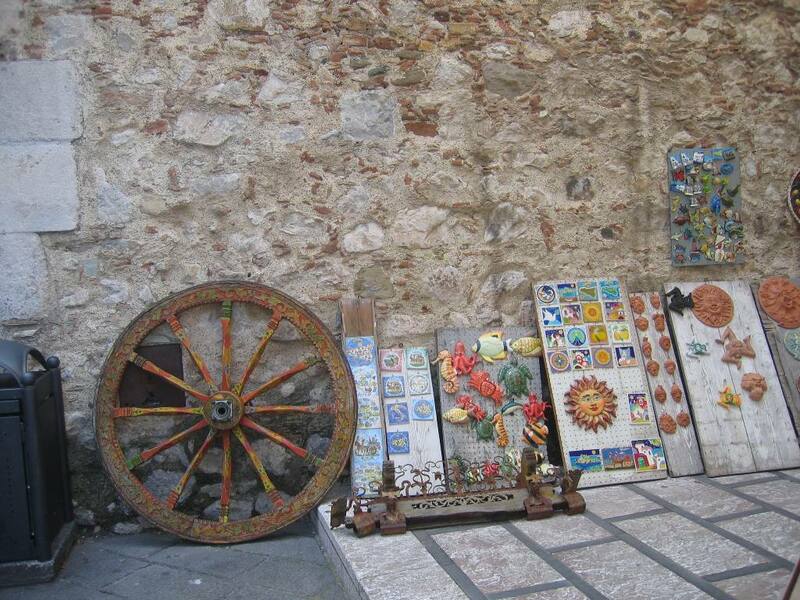 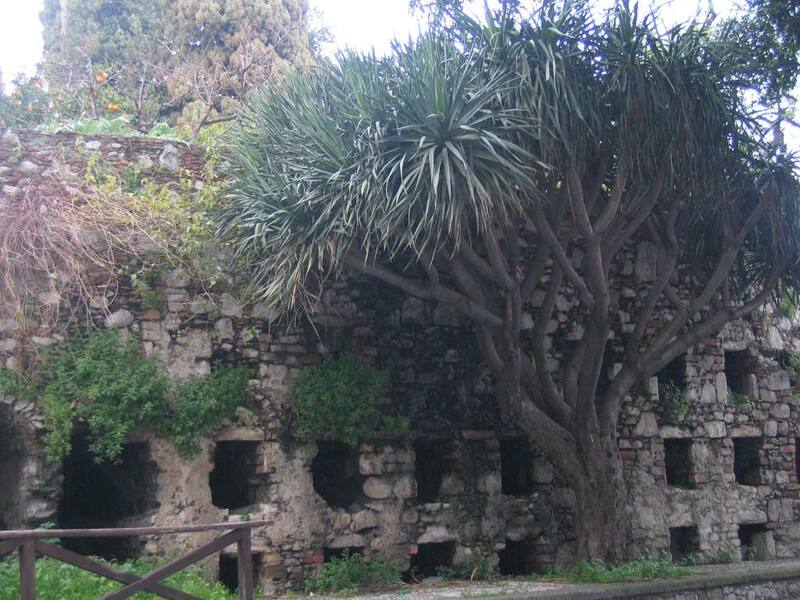 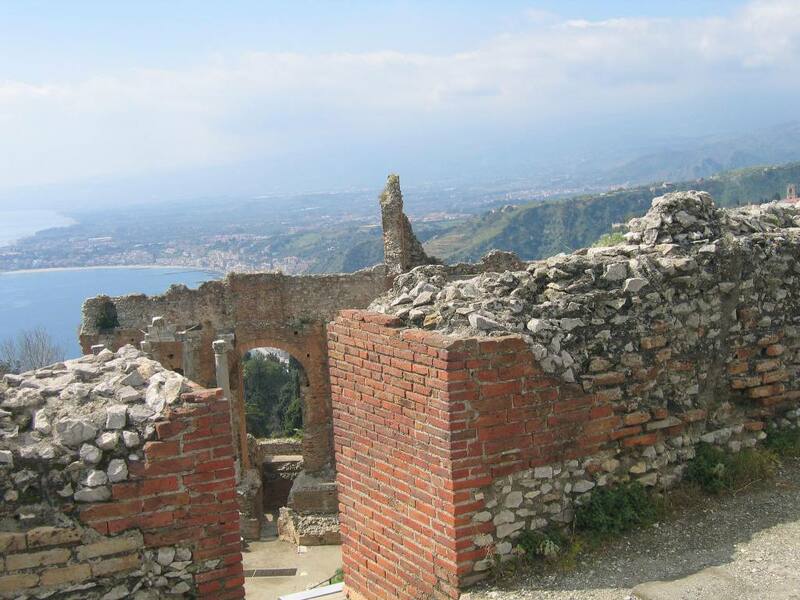 Taormina has experienced many varying vicissitudes. 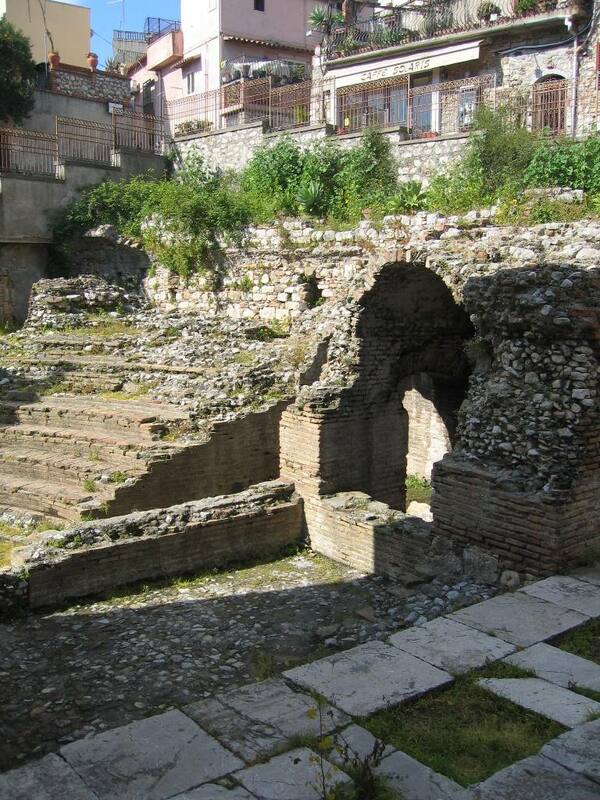 It has been Greek, Roman, Byzantine, Arab, Norman, Spanish, French, Bourbon, Italian, it has been destroyed and rebuilt. 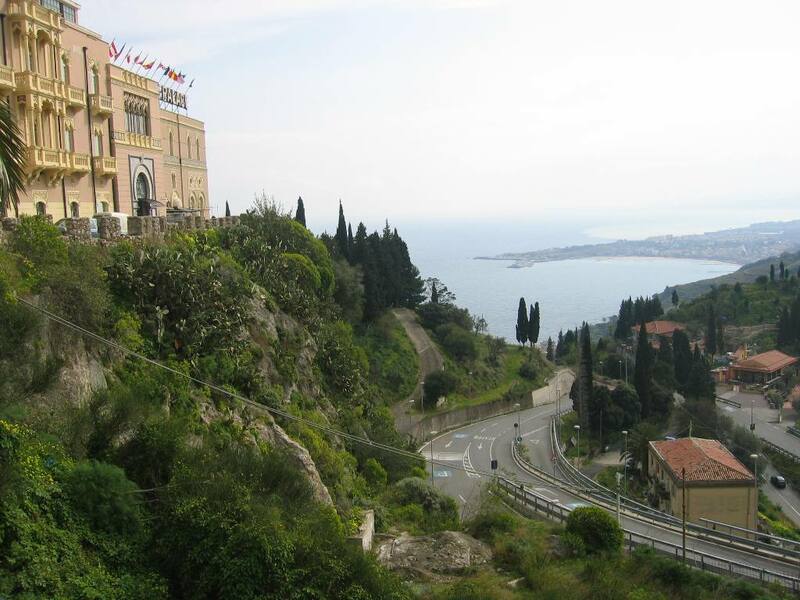 Its location is uniquely beautiful. 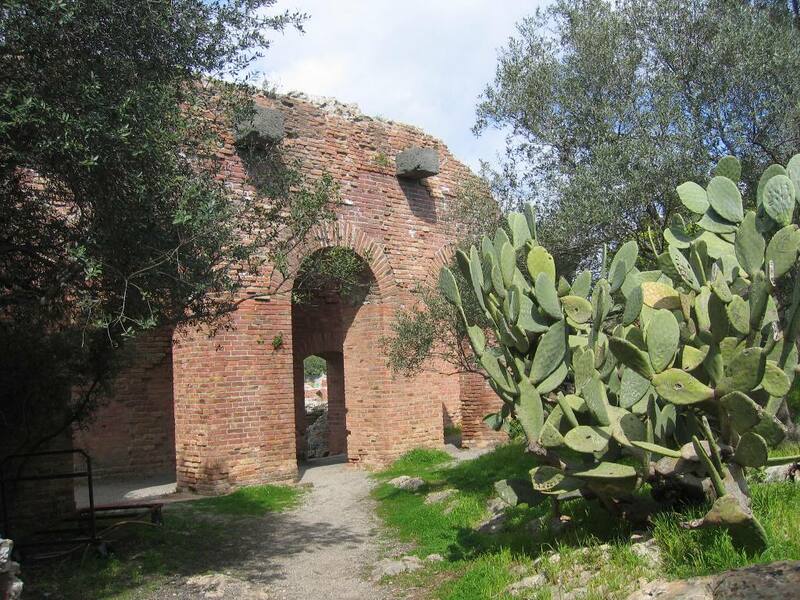 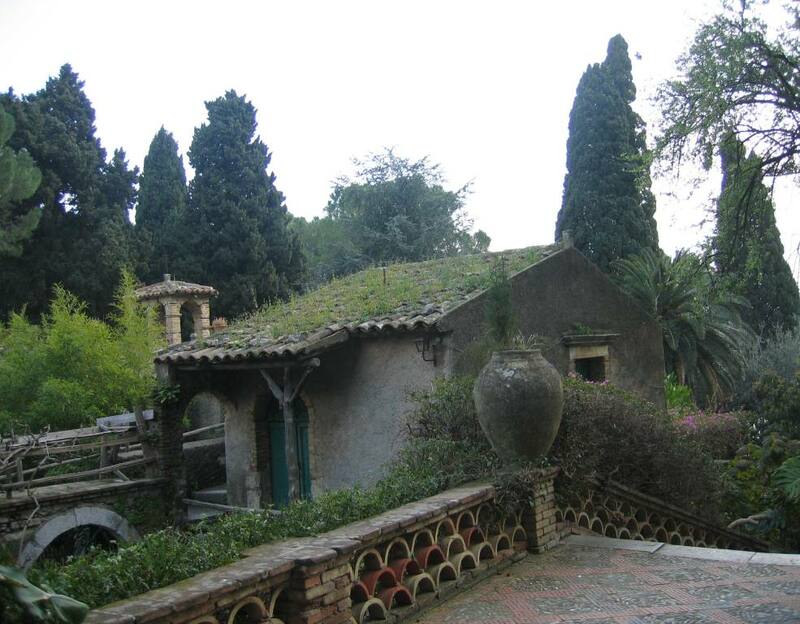 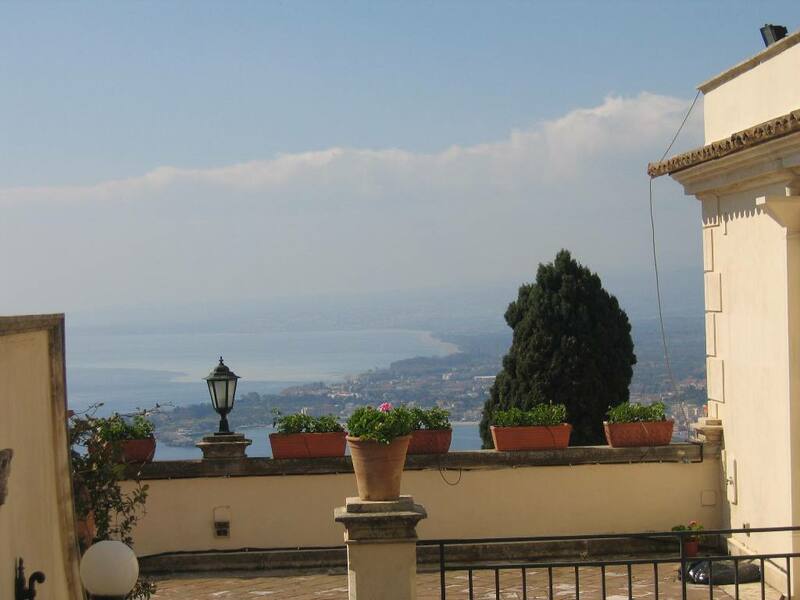 Built on a high rocky plateau it is overlooking the straits of Messina, the coastline to the North and South and the Mount Etna. 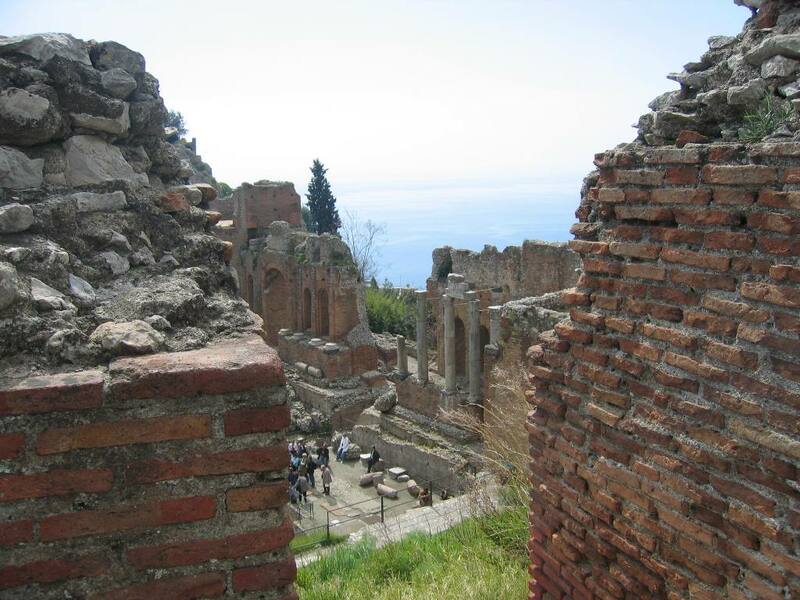 Many people, Goethe among them, have written enthusiastically about the place. 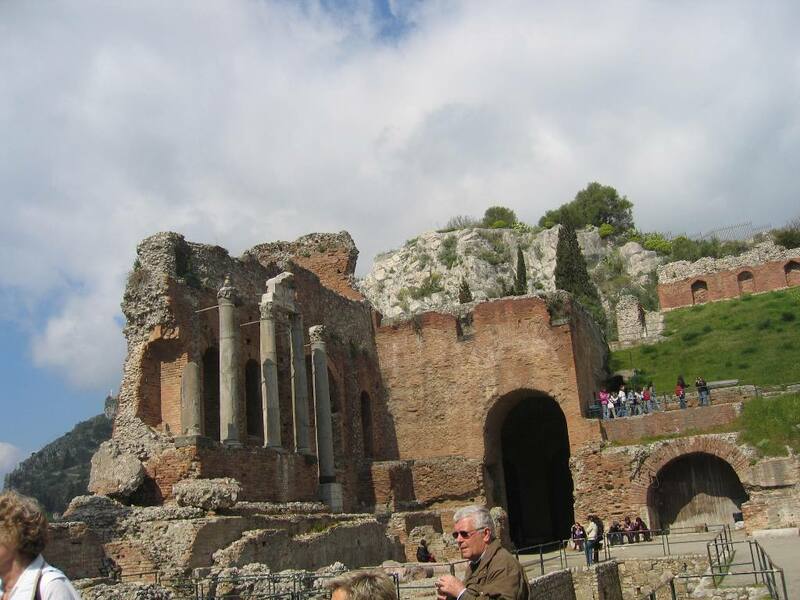 Because it is so beautiful I intend to show some pictures with general views before I go on to show the ancient sites. 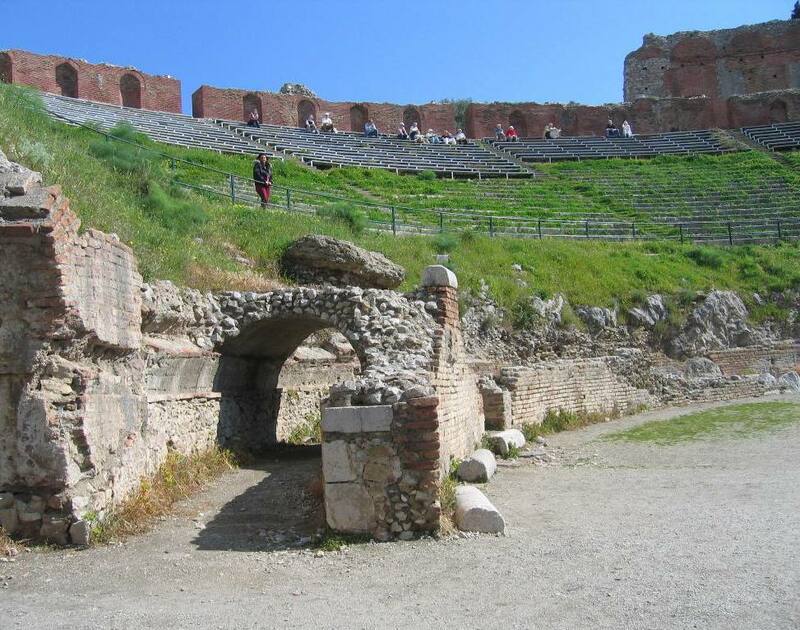 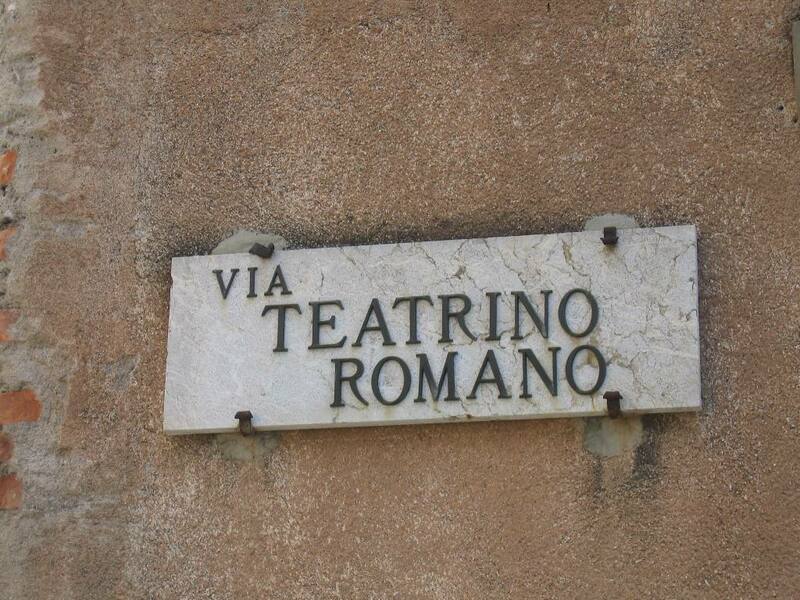 The Greeks may have founded this theatre but the Romans rebuilt it so thoroughly to suit their own purposes, that it is really Roman but for the name.